My company has a Mac Mini that we use for iOS builds. Occasionally, one of us needs to log in to it via remote access (from a Windows PC) to update the build tools. I've found that I can "fix" this by physically accessing the machine and logging out of the account, but of course this is painful and impractical. 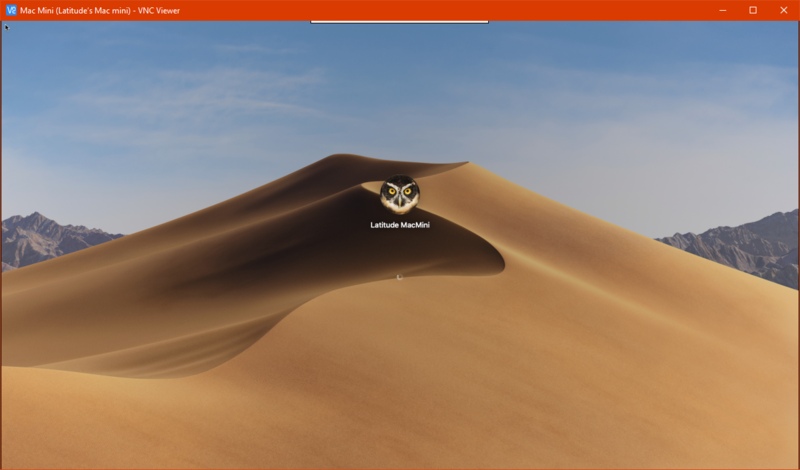 Is this just a mojave bug? Are there any ways to break out of this loop? I should mention that this didn't seem to be an issue before the mojave update. This appears to be a bug in MacOS Mojave's VNC implementation. Thankfully, I have found a workaround. In the settings app, select Sharing. Then select "Screen Sharing" on the left and click on the "Computer Settings..." button. In the dialog that pops up, check "Anyone may request permission to control screen" and un-check "VNC viewers may control screen with password: _____". It removes 1 layer of security, so I would not recommend this if your mac has any public ports configured. It still uses MacOS's authentication for accounts, so as long as you have good passwords on all your user accounts it still may be reasonably secure. Hope this helps anyone looking for a workaround for this. So apparently this is strictly a VNC issue. I usually use Tight VNC to connect to my Mac at home from work and I was getting the same spinning login. This time I tried to use the Screen Sharing feature built into OSX (by going to Command+K and entering vnc://ipaddress:port) and it prompted for my laptop's credentials and boom I was in with no problems while my VNC window was still spinning. You may need to reboot the Mac OR see if you can restart the VNC service (good luck, so far the normal commands haven't worked for me) on the Mac. My solution or workaround for this is using TigerVNC and going to Lockscreen when you're done managing Mac remotely. Using this method above, haven't registered "spinning circle" issue. My workaround was to run this command in order to completely prevent the login screen from appearing for VNC connections. Not the answer you're looking for? 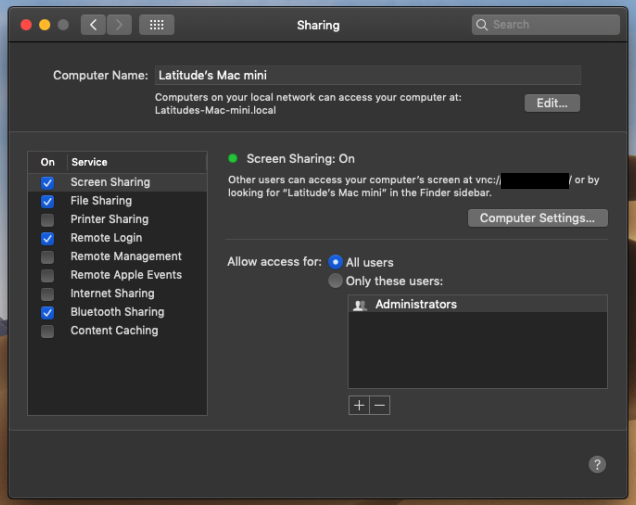 Browse other questions tagged macos remote-desktop mojave screen-sharing .